Use Speed Entry to manually enter keyword to upload it to quickly create a cart. Use the Shop By Manufacturer to choose the particular manufacturer related product list. The EPANL is a visually stunning, low profile, easy to install luminaire. The fully luminous lens provides a glare free solution creating a very comfortable environment. Add in standard 0 to 10 V dimming and you can create the right amount of light for the space or task. With a depth of only two inches, restricted plenum space is no longer a concern. Built to last with an aluminum frame for strength and durability the EPANLs frame is welded, sanded and painted eliminating light leakage. The acrylic lens is an upgrade as it will not yellow over time and will look like new for years. Another great feature is the access plate on the back of the fixture for easy access to the electrical compartment adding to the ease of installation. 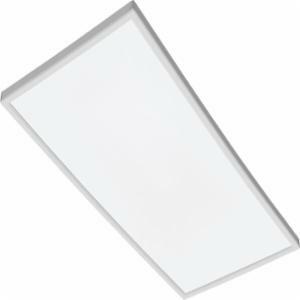 The EPANL luminaire is easy to install with great features making it ideal for many different applications. With great looks, excellent features and ease of installation the EPANL series fixture is a natural addition to the Lithonia Lighting family. All products, images, designs, videos and specifications shown on this website are subject to change at any time without notice. Some products shown on this website may not be available at all French Gerleman locations. Remember my Log In Forgot your Password?